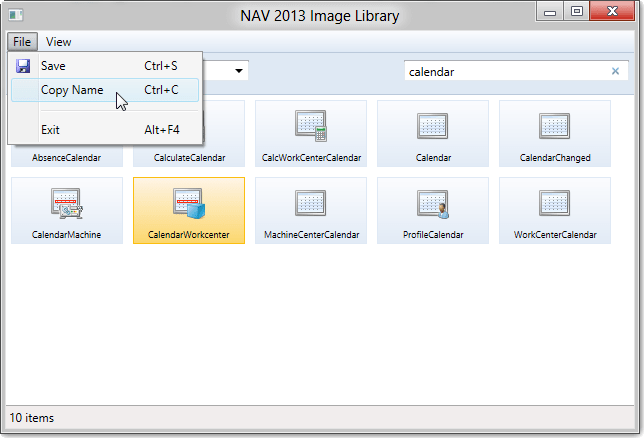 The NAV 2013 release contains a lot more images compared to NAV 2009 R2. As far as I could see, there are around 1000 action icons available. That is a huge number of images! The improvement, compared the the NAV 2009 Classic Client, is of course that you now can browse the image names. And together with the preview functionality of the Page Designer, it is possible to see the image in the menu ribbon. However, it is still not possible to browse the images itself. You can only browse through the names. And there isn’t a search or filter either. In my post with the NAV 2009 images all icons were available on one page. But with this load of icons, that would be too much for a single web page. And one of the remarks I got about the NAV 2009 image library was that it was not possible to search or filter the icons. 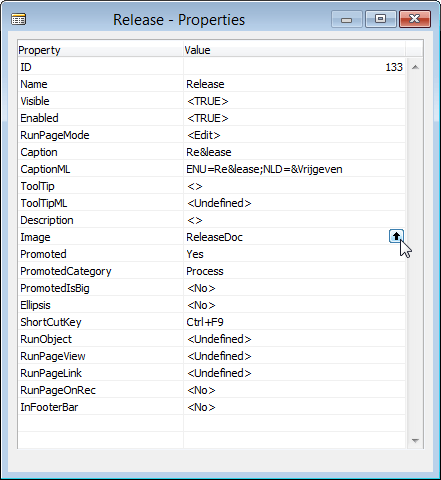 The application is built with Microsoft .Net WPF and requires .Net Framework 4.5. This version comes as a prerequisite with NAV 2013. If you haven’t it installed yet, you can get it from the NAV 2013 installation DVD in the folder “Prerequisite Components” or download it here. The application basically shows all Action images, alphabetically sorted. Great tool, Arend-Jan. Using it now to update our add-on regarding missing images. Is it possible to update the missing images for your add-on collective? Klaas, you mean in one run all at once? i do not know of a tool that can do that. The funny thing is that when you are converting Forms to Pages you have the possibility to input the tool with images that you want to related to captions (of menu items). This will apply for all occurences of this caption. That’s exactly doing what you are wanting. But no fool that can do that in one run for existing pages. Is it possible to upload custom images into this list so we can use our own icons for custom actions? Is there any other way to use custom icons/images? thanks in advance.